Hailing from Miami, multi-instrumentalist Darren Hoffman grew up as a blues, rock and punk guitar player. While studying film in Florida he met jazz piano master, Marcus Roberts, and soon plans changed as he went off to New Orleans to study jazz percussion. Yet his love of the blues, as revisited by Jimi Hendrix, Nirvana and The White Stripes persisted. Morgan Guerin, the son of World-renowned bassist Roland Guerin, is that child prodigy who brings music forth from the source in any way he chooses. Growing up in the New Orleans area, his unique access and talent led him to sit in with Ellis Marsalis and The Astral Project as early as four years of age. He met Darren Hoffman when he was just six, sharing his drum skills with his elder. Parker McAllister grew up studying classical piano on his mother’s insistence, also starting as a toddler, attending Manhattan School of Music while still in high school. As he fell in love with the bass, he kept his deal with his mother as long as he could, which meant he could play the bass as long as he continued to study piano. The only electric bass player admitted to the New England Conservatory of Music, Parker found opportunities right away, and soon was performing as a bassist with the renowned all female gospel a cappella group Sweet Honey In The Rock. Darren Hoffman’s search for expression through sound is the driving force behind gorgeous!. That sound is raw, with a constant rock and blues edge on the guitar as the players bring all of their jazz inspired experimentation to create a landscape effect. The trio format demands honesty and muscle, as there is no extravagant arrangement to hide behind. gorgeous! sounds like a post-punk jazz trio infused with the spirits of Albert King and Kurt Cobain. The album is titled “imperfection,” a nod to the true spirit of searching for the root of the human condition. Deep blues grooves give way to elements of laid back back-room swing, setting a mood that we all can feel. “imperfection” is a refreshing and courageous form of connection between historic sound and in the moment creativity. Day turns to night as Mark de Clive-Lowe’s Heritage II takes us from the meditative zen of Heritage into a world of jazz and Japanese roots culture fused with hip hop, drum’n’bass and broken-beat. ‘Heritage is a legacy we receive from our ancestors to pass on to future generations. It’s the thread that holds us together in lineage and cultural identity,’ posits jazz and electronic music pioneer Mark de Clive-Lowe. The half-Japanese half-New Zealander presents his new album Heritage II - the partner and second installment to his critically acclaimed album Heritage, a deeply personal exploration of his Japanese cultural and ancestral roots. On Heritage II, de Clive-Lowe is joined by a cast of world-class musicians: Josh Johnson, Teodross Avery, Brandon Eugene Owens, Brandon Combs, Carlos Niño, and Tylana Enomoto - who all contribute stellar performances in support of de Clive-Lowe’s music. Heritage II is the partner album to Heritage. The album’s original artwork by Tokio Aoyama depicts Bon Odori - a summer festival dance under the night-time sky - surreally all happening inside de Clive-Lowe’s grand piano. Heritage II is available for preorder tomorrow, Friday March 1. Since the their formation in 2011, the BT ALC Big Band, led by trombonist Brian Thomas and trumpeter Alex Lee-Clark, has gained a reputation for hard grooving original compositions featuring the most talented jazz and funk musicians in Boston. The BT ALC Big Band draws from the big band traditions of Duke Ellington, Count Basie, and Thad Jones and infuses music from funk legends like James Brown, Parliament Funkadelic, and The Meters, creating an undeniably unique sound, Big Band Funk. We’ve seen Brian in the mix with Ropeadope alum Otis Grove and Akashic Record, and now we are stoked to welcome the BT ALC Big Band with their new release The Search For Peace, due out here on May 17th. Stay tuned for some selections coming out as singles so y’all can get a little taste of Big Band Funk. Quite well known as a baritone in Germany, performing with the Deutsche Oper Berlin with roles in La Boheme and Turandot, among others. His presence, whether performing or in casual conversation, intimate a powerful soul with calm and compassion in a chaotic world. Nathan De’Shon Myers has something to reveal to us all. Part of the flourishing Dallas music community, Myers spent time as faculty at the venerable Booker T. Washington school, and now is taking the time to focus on his music. His debut album will be arriving this year from RSVP Records, and while we anxiously await the full offering, we are graced with the first single. I Wish You Would is a reflection on life today, with a steady and soothing groove, and a call to action for all of us to rise to the challenges. To unite rather than divide, to transcend. Friday February 23 is the date, tune in here for first listen. Thor Madsen was born in Chicago; his parents had arrived at a hot moment (1968) and the fully took up the spirit of the time. Before they headed back to their native Denmark, where Thor would be raised, they picked up a great vinyl collection; Santana to Deep Purple, Hendrix, Dylan, Sly and Procol Harum among the titles. Growing up Thor followed in his brother’s footsteps and learned guitar, heading across the street to the local arts and community center where he had full access to rehearsal rooms, instruments, and amps. One day his brother handed him a copy of We Want Miles, and everything changed. He was hooked, and began the process of understanding Jazz through reverse engineering. Thor went on to what is known as a rhythmic conservatory in his home town, catching a wide variety of shows at night and digging into new music. He put together an acid Jazz band, influenced by the likes of Guru, Us3, and Digable Planets and soon received offers to perform. Thor pulled together as much as he could while in his small town, but he had it in his head to get to New York for even broader horizons. Soon he was on the scene, mixing and performing with cats at Izzy Bar and later Nublu. He was part of the Hip-Hop collective The Real Live with Dionysus, Stimulus, Eric Revis, James Hurt, and Dana Murray. As Nublu became a hub his focus shifted to the space between Jazz and Electronica, as he toured with The Nublu Orchestra, Wax Poetic, and Our Theory. Somewhere in this whirlwind he picked up his new moniker, Thor De Force, as personally described by writer John Farris. The story tells itself: a man who let music into his soul and found it was already there. A curious mind with a persistent desire to experiment. There is a solid beginning but no end, as Madsen also works with Jazz Explorer Trio and RagaJazz with violin virtuoso Kala Ramnath. And so the new album - Sounds Of The Mansion - is a document of a journey. Working from his studio Mazza Mansion, with an arsenal of equipment within reach, Thor began each song with one seed, cultivating the sound and bringing in new ideas as they blossomed. The result is a comprehensive glimpse into the creative mind of Thor De Force. “The album is my attempt to really do my own music, my own style, my own story. There is a little of everything I like in it. I have tried to create an open kind of music where all the things that inspire me can coexist and feed off each other, in a possibly vain attempt to reconcile everything I love”. “Heritage is the idea of transmitting from the past to the future - knowing more about who we are and where we’re going by understanding where we come from. It’s about identity and one’s place in the world,” muses pianist and electronics wizard Mark de Clive-Lowe. For the half-Japanese half-New Zealander who calls Los Angeles home, his latest musical offering, Heritage, is a deeply personal exploration of his ancestry and cultural roots. “I was raised bi-culturally and as time goes on, the more I appreciate how much I owe to my roots. Japan is my spiritual and ancestral home - the connection I feel there is so visceral and has shaped much of my life, largely without me even being fully aware of its influence. This music is me openly embracing and interpreting what Japan means, feels like and sounds like to me. Leaning into the moods and textures of Japan’s folkloric mythology and culture in tandem with his already nuanced blend of jazz, live electronics and sampling, de Clive-Lowe takes us on a culture-rich journey through his own sonic imagination, seamlessly fusing genres and blurring the lines between technology and live musicianship. Producer and frequent Robert Glasper collaborator Anu Sun debuts KAEPtain Amerikkka, the first single from his forthcoming album Sanguine Regum. Affectionately known as “Anu The Giant,” Anu has a physical stature that compliments his tremendous place in the music game. Aside from being a staple in New York City’s live music scene, his recent credits include work on the Grammy Award winning motion picture soundtrack Miles Ahead and work on his partner Robert Glasper’s Grammy nominated Black Radio 2 album. Anu has also worked intimately on projects of music legends Johnny Cash and Miles Davis. In KAEPtain Amerikkka Anu addresses the present quandary of the African American while raising a firm fist of support for controversial football star-turned activist Colin Kaepernick. ‘Why must you hate and degrade us / Try all you want, you can’t wreck us’, Anu raps with conviction. KAEPtain Amerikkka is a genre-merging, socially conscious tune that seamlessly melds Hip-Hop, Trap and Rock vibes into a single ground rattling composition. Christian Scott aTunde Adjuah sets the tone for his new project - Ancestral Recall - with this powerful statement. In his mission to unify cultural voices and tear down the sonic and social constructs that separate based on race, class, and culture, Adjuah asserts music has historically been disseminated to people with harmony and melody prioritized over rhythm. The value distinction leads to harmful hierarchal sentiments and perpetuates the view that cultures who prioritize harmony and melody are more nuanced and sophisticated than those who prioritize rhythm. It is an inaccurate portrayal. Ancestral Recall looks to excavate and update hidden histories in sound by displaying a sonic tapestry that illuminates the har-melodic movements found within rhythm, rendering previous contexts baseless, Adjuah explains: "In its inception, Ancestral Recall was built as a map to de-colonialize sound; to challenge previously held misconceptions about some cultures of music; to codify a new folkloric tradition and begin the work of creating a national set of rhythms; rhythms rooted in the synergy between West African, First Nation, African Diaspora/Caribbean rhythms and their marriage to rhythmic templates found in trap music, alt-rock, and other modern forms. It is time we created a sound that dispels singular narratives of entire peoples and looks to finally represent the wealth of narratives found throughout the American experience. One that shows that all forms of expression in sound are valid, as all people are." The goal is to connect people in one understanding rather than dividing them by definition. The music of Ancestral Recall focuses the mind. As the ear adjusts to the shifting tapestries of rhythm, Adjuah stands firm in the mix, heralding the histories of rhythm and song. Walking hand-in-hand with listeners through his and their musical histories, clearing the way for a new reading of what all musical futures can become. Ancestral Recall is an album that might easily be misunderstood in its own time, but will certainly be seen as a moment in history that marked a momentous shift in musical and perhaps social understanding. The son of a pastor in Cleveland Ohio, Nathan-Paul learned from his father that life was about relationships, and he demonstrated this every day in church. He began his musical journey, like many, singing in the choir, and when it came time for an instrument he went to the music store with his father, choosing the trumpet but leaving with a saxophone. The elder had prayed for a son who played sax, you see. Nathan-Paul finds it impossible to hide his creative mind. Making noise constantly as a baby, and to this day talking out his ideas constantly, Nathan-Paul calls himself an introvert. In this way one can see clearly that he is a transmitter of sorts; a human radio show with little filtration. His tuning is for real, as he translates the ideas into music that exists purely for our enjoyment and benefit. He writes what he feels, improvising all the time. He acknowledges the influence that the greats have had on him - Charlie Parker, Sonny Rollins, Miles Davis, John Coltrane, Louis Armstrong - but he does not consider himself a Jazz musician. He is here to get us moving, to invite us all to hear what he is hearing, to feel what he is feeling, to share in the absolute joy that music brings. Nathan-Paul’s prolific output will be felt all year at Ropeadope, starting off with an ear and hip-catching single titled Catch Me If You Can by Nathan-Paul & The Admirables. Catch Me if You Can is quirky, it’s funky, and intense. Raw energetic solos blast over Michael Ode’s unrelenting power house drums, with a group chant and a hype man at the end. Matthew DeRubertis’ bass reaches deep and vibrates the inner core with some serious low end. The voices invite you to join in, like it’s a party. Nathan-Paul and Tommy Lehman’s horns are at the edge of control in the best way possible. The sax and trumpet have a blend, a spirit to that evokes a mixture of pure joy and teenage mischief. We doubt we can catch the man, but we cannot help but try. We are proud to welcome the first Emmy winner to the Ropeadope family! Michael Whalen is a prolific composer, with hundreds of credits in TV, film, and commercial music. Michael is such a bundle of positive energy it is easy to se how standup comedy is also included in his credits. He brings fresh energy to the scene, with a broad base of musical understanding. From his DC roots with an obligatory love of Go-go, to his passion for Jazz fusion, funk and soul, Michael has finally completed the album he knew he was destined to make. And he brings the heat, with none other than Snarky Puppy’s Michael League on the bass and the great Vinnie Colaiuta on the kit. His new album is (sort of) self titled: Michael Whalen & The Fire Brigade hits on March 1st, with preorder starting…today! There is a time to sit back and marvel at the accomplished players, and there is a time to just get up and dance. This is both of those times. Infinity Gritty is at it again, this time with the curiously interesting duo of Stéphane Avellaneda and Rachel Ombredane. Known together as RoSaway, the couple hail from Paris France and bring a unique sound to the world. Stef comes from the blues, touring the world with Serbian guitarist Ana Popovic. Rachel immersed herself in study at The Sorbonne and The Vocal Academy. Their sound is a blend of vintage sounds and electro-pop beats, with Rachel’s timeless and exotic vocal style. Their new project, Stranger, is due out right here on February 15. Last year’s release from Ollie Howell was sublime and powerful, so it was a no brainer when band member and saxophonist Duncan Eagles hit us up about his solo project. Classically trained on piano, Duncan picked up the sax at 16 and has only looked forward. His new studio album is titled Citizen, a reference to his feeling of inclusion in a global society. The vibe is relaxed as the album opens, and soon builds in complexity as Duncan tells his story on the sax with clarity and feeling. The band brings seemingly effortless communication as the compositions flow like water across the countryside. Citizen hits on February 15th, preorder right here. If you aren’t hip to what we are doing at 21Soul, take a little trip with us as we interview artists on The Station Tapes podcast, generally mess around (with the cameras rolling) on Ropeadope TV, and premiere live music videos from a variety of world class artists. We’re happy when you go out and stream, but please do subscribe and stay up on the stories behind the music. As each day passes, we ask ourselves what we can and should do with this growing community of artists, activists, musical ambassadors to the world. How can we be of more service to them, and how can we connect them to more humans to lift everyone up in these challenging times? Last year, Christian Scott aTunde Adjuah, with The Centennial Trilogy, addressed the concept of race as a social construct, seeking to break down barriers by finding commonality in music. As we look over the landscape of Ropeadope past and present we find the persistent question of genre wherever we look, and it occurs to us that genre is quite the same; a construct designed to divide people into groups. While there have been great movements around genres in the past, the future is about breaking down these divisions and finding Unity with fellow humans. And so the path forward is charted for us: everything we do will be about tearing down the concept of genre and bringing people to a common place based on the simple enjoyment and community found through music. From our release schedule, to our stories, to our live events over at 21Soul, we will weave the tale of that which brings us together, rather than that which divides us. In essence, to exist without walls, for they are simply a construct. We’ve been having a blast up here in Philly-town, with a monthly residency hosted by RC Williams and a rotating cast of Ropeadope family players and local artists hitting the stage. Tonight we step it up a notch, bringing together three very unique styles with an eye on unity among the crowd. It’s like tasting varietals in the vineyard, with a heavy groove. Come out and meet new friends who are united through the love of music. Tune in here soon for news of The 21Soul Sessions spreading to your city in 2019. Is everybody buckled up? OK then, let’s GO. Ropeadope is beginning our 20th year in this here creative space turned blood sport called the music business, and we’re coming out swinging yet again. All year we’ll be announcing special events to celebrate the fact that we’re still in the ring, with concerts in Philly, New York, Montreal, and many more cities. 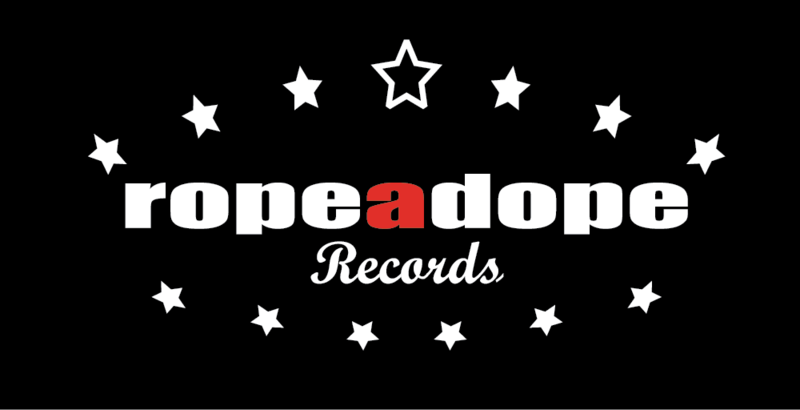 We’ll be cueing up some special radio shows covering the vast collection of music that we have released, and we’re dropping new capsules of the legendary Ropeadope clothing line. To top that off we’ve got more than 40 releases cued up from some well known cats and some young guns: Anu Sun, Mark de Clive-Lowe, Doobie Powell, Duncan Eagles, RoSaway, Vivian Sessoms, Michael Whalen and The Fire Brigade, RC & The Gritz, and many more. This is all about an ending and a new beginning as we declare the ‘record label’ a thing of the past and press on with renewed support for independent artists and new media initiatives under the 21Soul Media brand. Get it? : 20 Years and then 21Soul. We’ll have stories to tell in print, podcast, and video format, and live music popping up all over the globe as we transform into your favorite music network. Where to start? Subscribe on Youtube and Mixcloud, and tune in here as we roll forward. And so we bid farewell to 2018, a year of struggle amid serious changes in our world. A year of bearing witness to the truth of what we’ve done to our planet, how our system of ‘civilization’ continues to oppress and marginalize the thinkers and the dreamers, and how art and music continues to transform suffering into beauty. For every tragic news story, for every dumbass tweet, there is someone bringing joy and beauty to the world. And this is what we must embrace, we must cling to it as if it is our only hope. Triumph is sweet, but until the battle is won we will continue to cultivate the music and the music makers. And so we respond in kind to the powerful, to the gatekeepers, to the tech overlords, to the powerful ‘elite’ - we will press on with renewed energy. We will not yield to petty use of power, but will draw on the universal power within and live as if this is OUR world, for truly it is. 'Here I present to you the music that my late wife, Iraida, and I enjoyed in our youth. I would play this music in our home often, during the holidays and on special occasions. We would dance to this music, but there were also times where the music spoke for us. Music was the constant force that touched our hearts and would heal any wounds that life sent our way. Ultimately, these songs represent our love story. Selecting each composition and writing new music helped me work through my grief after she passed away in 2014. Because this music is in her honor, everything from start to finish had to be of the highest caliber, and I am proud to say that it is just that. The music is a reflection of the profound respect, admiration and impact both Rene Hernández and Ray Santos have had on my musical life. Their arranging skills show careful study and the diligence I endeavor to carry over into my own arrangements. It is the platform from which I rarely move, where the historical integrity of the Cuban structures are preserved and expounded upon – that is the excitement that drives my creative process. The music also embodies the contributions and arranging talent of Jose Madera – I truly believe he is an inspiration to the next generation of arrangers. From Onde Music in France comes the new album from Paris based singer/songwriter Yasmine Kyd. Already in heavy rotation with enthusiastic support from UK and European publications, Showtime clearly shows Kyd’s full understanding of the roots of Jazz, Hip=Hop, and Soul. The album is both personal and worldly, as Yasmine tells stories with her songs; one of the challenges of life and the need to embrace them with optimism, another about a young gymnast and the emotions of practice. Yasmine Kyd is a storyteller, with soul.